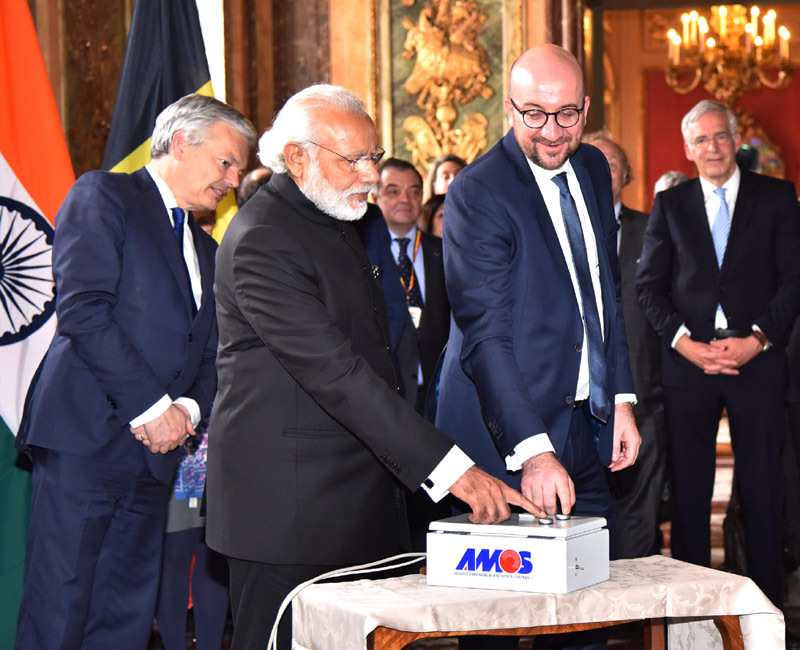 India’s largest ground-based optical telescope, in Devasthal in Uttarakhand, switched on March 30 by the prime ministers of India and Belgium from Brussels, during Narendra Modi’s day-long visit to the country. The telescope is the product of an Indo-Belgian collaborative effort, assisted by the Russian Academy of Sciences, that was kicked off in 2007. It is going to be operated by the Aryabhatta Research Institute of Observational Sciences (ARIES), an autonomous research body under the Department of Science and Technology. Its defining feature will be a 3.6-metre-wide primary mirror, which will collect light from its field of view and focus it onto a 0.9-m secondary mirror, which in turn will divert it into various detectors for analysis. This arrangement, called the Ritchey-Chrétien design, is also what ASTROSAT employs – but with a 30-cm-wide primary mirror. In fact, by contrast, the mirrors and six instruments of ASTROSAT all weigh 1,500 kg while the Devasthal telescope’s primary mirror alone weighs 4,000 kg. A better comparison would be the Hubble space telescope. It manages to capture the stunning cosmic panoramas it does with a primary mirror that’s 2.4 m wide. However, Hubble’s clarity is much better because it is situated in space, where Earth’s atmosphere can’t interfere with what it sees.